About 30 percent of the 39 million foreign-born residents in 2008 were unauthorized. 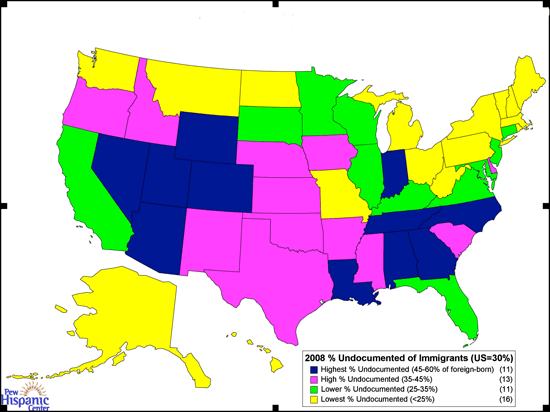 In 11 southeastern and mountain states, the unauthorized were half or more of foreign-born residents. California had 45 percent of the estimated 3.5 million unauthorized foreigners in 1990; by 2008, California’s share of the estimated 12 million unauthorized foreigners had dropped to 22 percent.